Neil's First Book Is Here! Fact and the reinterpretation of ancient stories are blended together to find the truth in this captivating and challenging historical fiction. Did early Christianity evolve from Roman culture and customs? Was it based on truth? Were the social issues of the early Roman Empire a driving force to adapt old customs to a new philosophy? A young Hebrew man seeks answers beyond his religious traditions by spending fifteen years traveling and studying spiritual principles in India and Alexandria, Egypt. Upon returning to his homeland, his message of self-awareness is feared by the elders and Temple priests. At the same time, the ruling elite in Rome are determined to use this controversy to their advantage. Keen to find a solution to the social and economic issues that have developed after their relentless conquests of foreign lands, they find that the young man's spiritual message can be altered to suit their needs. Facing the upending of his message, he must act quickly to document his teachings and preserve the true meanings for his followers and future generations to come. Contrary to Popular Belief by Neil Anthes is a thought-provoking novel inspired by the quest for truth, interpreting history and the stories we all know with a fresh perspective and an open mind. Entertaining and packed with historical accounts of Mediterranean life, it will challenge readers’ perceptions of the ancient world and the roots of modern religion. About the author: Neil Anthes is a retired small business owner and international business manager. He graduated from the University of Waterloo in Canada with a bachelor of science degree. He is a semi-professional photographer and currently lives in the Southern Interior of British Columbia Canada. This is his second book. The first, Moments in Time, Reflections on Personal Mystical Experiences, was published in 2014. 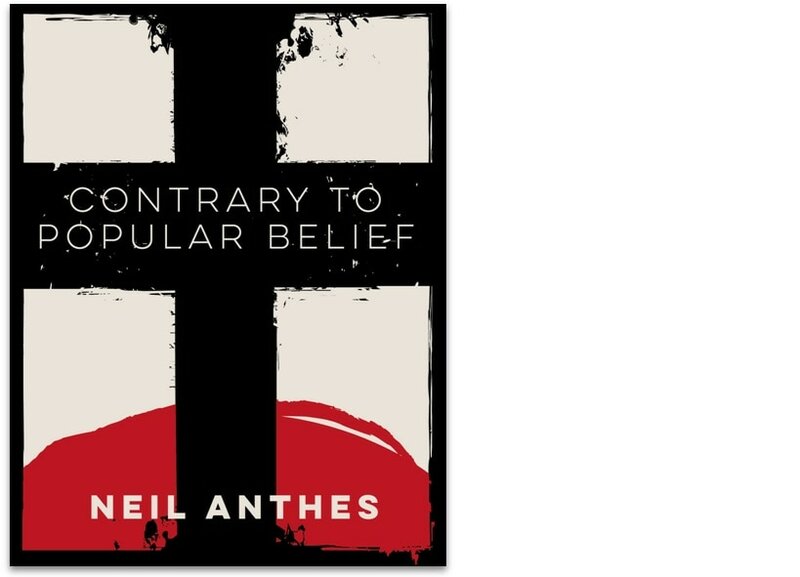 Contrary to Popular Belief by Neil Anthes (published by Clink Street Publishing June 25th, 2017 in paperback and ebook RRP $9.99 paperback, $4.99 ebook) will be available to purchase from online retailers including Amazon and to order from all good bookstores. For more information, please visit http://www.neilanthes.com. Many things inspired me to write this book. My own life has shown me that some things we take as being true turned out to be false. As children, we were told about Santa Clause and the Easter bunny and Tooth Ferries. A we grew, our intelligence showed us these myths were false. What about adult myths? When I was working, one of the companies who employed me was involved in a medical lawsuit. I was shocked to discover the justice system had no interest in uncovering what had happened so it wouldn’t happen again. They were only interested in pinning blame on who could pay the court ordered settlement. The lead medical investigator told me privately they were going to pin the blame on the manufacturer of the equipment because the nurse operating it had no money to pay the settlement. Then I heard about atrocities of war being left out of teaching text books in the country of the perpetrators. I started to ask myself, a question. What else have we as a culture been lead to believe that is false? What if my religious traditions were a fabrication or contained deceptions like the altered school textbooks. About 2000 years ago something motivated the Hebrew community to hide hundreds of documents in eleven caves beside the Dead Sea near Jerusalem. Other ancient documents of the same age have also been found in Egypt. Contrary to Popular Belief is based on historical facts but with a believable twist. I want the reader to consider that religion is a man-made entity. One needs to examine with an open mind the possibility that not all religious traditions may be true. There may be a different story that represents the real Truth.